There is alot to say about life and what its purpose is. One thing is for sure though, That there is a Loving God that cares so much about you that your days will be blessed if you soak in the presence of the lord and draw near to him not sometimes not when you feel like it, But everyday! God loves you, sometimes we dont even love ourself, But know that God the father who sent his son to die for you loves you greatly. Never will he let you fall into the hand of the enemy without having a reason and an army at your side to pick you up when Gods time is perfect. Understand that Trials are for the good especially to those that love God. Its not so much he purposly puts you in a sad or trying place in your life, but more so that you can be molded, built and equiped for the kingdom of God. To emer ge stronger and more ready to run the race that has been marked for you! Hebrews 12:1-2- Therefore since we are surrounded by such a great cloud of witnesses, let us throw off everything that hinders and the sin that so easily entangles, let us run with perserverance the race marked out for us. (2) let us fix our eyes on Jesus the Author and perfecter of our faith who for the joy set before endurded the cross, schoring its shame and sitting at the right hand of the throne of God! God loves you, and your trails will build you, And friends that God has carefully placed in your life will help you through it! To be in fellowship with one another is more than just being there once an awhile for a friend, more than just a meal a week or a day a week, it is a Partnership. We should fellowship with Chirst our Lord on a daily basis, not holding back our life or our struggles but letting him know what is on our mind and he will speak to us his heart, Your friends and the people you see daily need people who care and want to be with them and show them that people are ready to walk the hard walk with them. How many people die everyday, how many people do you pass, that do not know Christ, But yet you have the gift inside of you, the gift that is life to the kingdom of God love and joy that only Jesus Christ can bring, yet our voices stay silent, our actions show nothing, who are we? we say that we are Christians, But yet we hold back the word of Truth, we shoot down the enemy, but we hold back when a child is dying before us. We are all adopted children of God, made whole in his sight, yet we don't seem to see that we have a n answer to the dying on the streets to the dying in the city, to the dying in a nation, we hold back, Arise up declare that Jesus is our loving lord, and he is the answer look what he done for us. So how many people do you pass, that do not know Christ, they are dying everyday, without truth inside them What can we do? We can do anything were called to do, were soldiers of the Cross, Children of the Light. God is working within our life, But to say that we are holding back, Stop right, tell the world that Jesus is THE Christ. He loves there very life, and cares not where they've been? only who they are just as they are! all the baggage all the pain COME JUST AS YOU ARE! 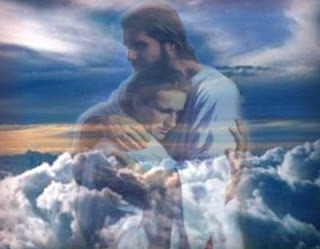 God is someone to lean on, someone to come to in your hour of need. dont let the angels of darkness overwhelm trust in the name of the lord, shout out victoriously Dont let the nations say where to go trust in the word of the Lord. Nothing well ever come to destroy your name, for it is written in the Lambs book of life. God got an army not afraid to fight, so stand and declare your nation as part of a river of life. Come tow orship bring uniy nations not against nations churches not against churches people not against people, just come to bring unity in a dying community. God shall say you have been called my Friend. For the love of the lord it is strong. 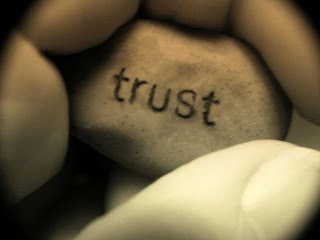 Often times its our world that looses trust not with one another but with themselves. A task that is not hard nor easy we give up on as the lies of the enemy began to sneek in and attack our goals. we listen to them instead of the trust God has in us. Follow your dreams Sisters and brothers. Live not for the age of the flesh but the age of truth. Be women and men of God who stand for the right. When your Trust is tested, hold steady and be ready to build it up again, dont fight it or eve n worry, trust in the Lord you God, see it to competion that God will restore the trust you have in yourself, and the trust others ahve in you. Our God is a God of Restoration. This week my trust in God was tested. I left me bike at my Church last wednesday to help a friend, i was confident my bike would be stolen. I also knew beyond a doubt i needed it. So 5 days later i went to pick it up and it was there, i had asked God to watch out for it, and he did. When you ask God to watch out for things he does so, not half heartedly but fully watches out, because he wants to bless your life. 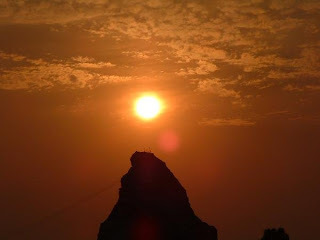 On days where the sun shines i live according to a great joy that seems to warm up inside me. Seeing trees cast in UV rays seems to iginte my spirit. Imgine if people looked at Rain as simply snow just in a liqued form. life would be so much less depressing. there wood be little to know gloom or depressive looks of nature. God is good in everyway, look at how up in the great state of washington, bad weather is Complimented but great rivers cascading down the mountains, fresh views of Hilltops carpeted with Trees, snow an cliffs. In the Rainy season (Mid Oc tober- December) the mountains hide, then emerge in white that is more beauteful than hawaii. To ski and snowboard is a pleasure up here, no need to travel to far out of town. Spring brings great flower views from the valley near the sound to the meadows deep in the heart of the mountains. 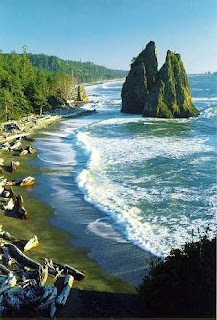 Summer brings outdoor adventures such as great camping hiking, swimming, and backyard parties esspecially last week of july through August when the clouds seem to run far away from washington, the beaches of our coast glisten with cliffs that break off into cliffs that rise out of the ocean. Oh the beauty to be hold when the sun shines and the mood on beauty if set. I chatted with a friend thee other day about acheving ones dreams. she said in honest haste that to achieve the things we dream after we must first persue those things that we no we can have. persuing what we cant have takes us astray. Off the path of our dream. So focus is big. pinpointing our true goal. For instance if your goal is to be a missionar; and you sit doing nothing but chasing the wants, your life will not fully achieve your Dream. So if you want to be a missionary start building your life around it. Learn to live on less. for example dont buy a car, a house, or things like a boat. otherwise when you reach the field you leave behind monthly bills you have to worry about 10,000+ miles from home. Also pick up a foregien Language go back to school, so you can learn the culture of the places you desire to work in. Build your life on the things you desire. Achieving all im called to do, Establishing friendships beyond borders. Not following the world. Dreaming big. Loving friends, giving to those that need a friend. speaking to the poor showing love is there.